Introduction: What does Ismaili and related Shia literature reveal about the doctrine of Imamat? What are the pre-requisites in our daily lives to maximize the benefits from the didar of the Imam of the Time? 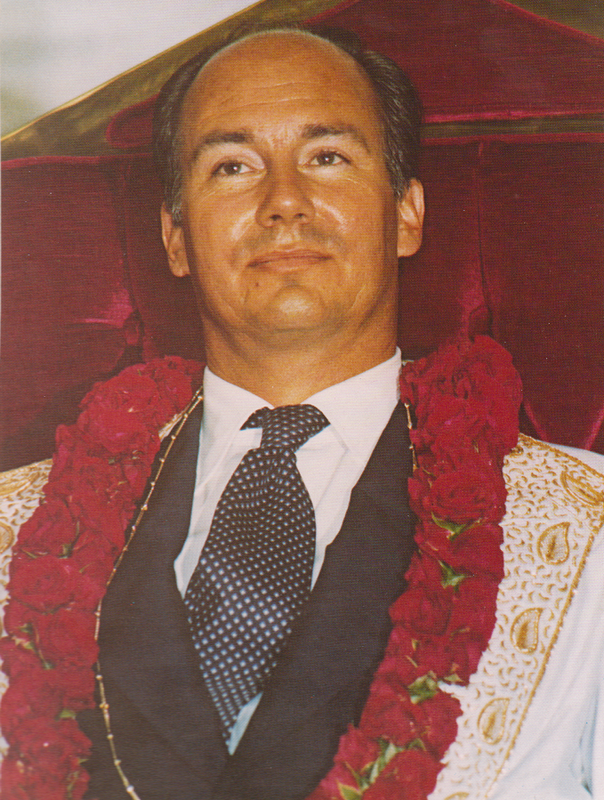 What should our attitudes be in the presence of Mawlana Hazar Imam? These are some of the themes which “Essential Readings” is covering through short excerpts. This is the fourth in a series which began on June 25th. We welcome personal reflections, narratives and poetry relevant to didar and the East African visit from all our readers. Please submit your pieces to Simerg@aol.com with appropriate references. Links to previous “Essential Readings” are provided below. The reference by the Persian Ismaili Missionary, Fida’i Khurasani, of the distribution of healing water by 30th Imam Islamshah is significant, as the practice of drinking water blessed by the Imam is frequently attested in the Ginans and continues to form part of the Ismaili tradition to this day. The use of such consecrated water is widely practiced in several religious traditions. Many Twelver Shi’a, for example, dissolve the dust of Karbala where the Imam Husayn is buried, or that of Najaf, the resting place of the Imam ‘Ali, and drink the resulting healing water (Aab-i Shifaa) as a cure for illness, both spiritual and physical. The Ismaili emphasis on the spiritual aspect of this healing is clear from the names used to designate the water, which include Light (Nur) and ambrosia (Amiiras, Aamiijal). Their use of the blessed water is also distinctive in another regard. It is taken in the name of the Imam of the time, who is physically present on earth. In the remainder of this long prayer, the primordial existence of a manifest divine authority is repeatedly evoked. The lineage of this authority is traced through the cosmic ages and is ultimately affirmed to be vested in the living Imam of the age. The sections of the prayer end with a declaration that the Imam is alive and eternally present. At this point the reciter of the prayer would announce the word farman, to which those in attendance would reply Shah-Pir, a reaffirmation of their allegiance to the command (Farman) of the reigning Imam (Shah) and his representative (Pir). The current practice is similar, but the expression Shah-Pir has been replaced by Ya ‘Ali-Ya Muhammad. In this manner, the community members voiced their allegiance, in the words of Nasir al-Din Tusi, not solely to the command, but to the Commander of their time, the Possessor of the Command. While this reading is primarily aimed at the younger readership, we think everyone can benefit from it. The sun is extremely important for all life on earth. It gives us light, warmth and energy. The sun however is not the final source of life. It is Allah who gives life to all living things. It is God who has created the sun and the stars and everything that is in the universe. The Qur’an teaches that Allah is the Light of the Heavens and the Earth. Allah guides mankind towards Him through His light. While Allah has created the physical light, He has also provided mankind another kind of light. Allah says in the Qur’an: “O Mankind! Truly there has come to you a proof from your Lord, and We have sent down to you a clear Light.” (4:174). What is this special light that Allah refers to, which guides and makes things clear? For Shia Muslims, this light is the Light of Imamat. The Shias refer to it as the Nur of Imamat. Nur means light. The Nur of Imamat is a spiritual light. This spiritual light is with the Ahl al-bayt, the Imams from the Prophet Muhammad’s (SAWS) family. This light was with the first Shia Imam, Hazrat Murtaza Ali (AS) and, for Shia Imami Ismailis, it is now with their present 49th Imam, Shah Karim al-Husayni, His Highness the Aga Khan IV. The Imam guides his murids (followers) with his Nur. The Imam’s Nur is not like ordinary light. It is a different light altogether. It is a spiritual light. Physical light, such as sunlight, helps everyone see things in the physical world. The Imam’s Nur guides his murids both in the spiritual and worldly aspects of their lives. Above all, the Imam’s Nur leads his followers towards inner peace and happiness. Ever since the time of Hazrat Ali, the Ismaili Imams have guided their followers in succession, one after after another. There have been forty nine Imams up to the present time, but the Nur of Imamat is one, and it remains the same. The Imam holds his followers hands and leads them through both difficult and good times. He gives them guidance about how they should live in a particular time and place. Just as the water of a river continues to flow, the line of Imamat never stops. That is, the Nur of Imamat is there to stay eternally. One of the goals of the murid of the Imam should be to strive to come closer to the spiritual light of the Imam. This, one can do by fulfilling one’s material and spiritual responsibilities to the best of one’s ability. Praying regularly, living by the ethics of Islam, following the Imam’s guidance and thinking about Allah constantly can bring us closer and closer to the Nur of Imamat. (1) and (5) have been adapted from The Ismailis in the Middle Ages: A History of Survival, A Search for Salvation, a path breaking book by Shafique N. Virani, Hardcover – May 3, 2007. For author’s Website, please click » Ismailis in the Middle Ages. (2) Adapted from Code of Conduct for the Followers of Imam by Qazi Noaman, translated by Prof. Jawad Muscati. (3) Compiled from numerous sources including the Ta’lim curriculum published by Islamic Publications, London.